The Covington Buccaneers qualified three wrestlers and one alternate to the state meet and finished runner-up in the team standings at the district meet in Troy. Keringten Martin sets up a shot on his way to a district championship at 152 pounds. Before getting to the performance of the Covington Buccaneers at the Division III District Tournament at Hobart Arena in Troy, it's only fitting to praise Mechanicsburg junior 152-pounder Isaac Bryant for his unscripted and unexpected, amazing performance on the microphone. Due to an equipment malfunction on Friday an announcement was made by tournament organizers asking for someone to sing the National Anthem. Bryant graciously agreed and nearly blew the roof off of Hobart Arena with his awesome rendition of the Star Spangled Banner. He was so impressive that the tournament organizers asked Bryant to sing the National Anthem again prior to the finals - which, again he graciously agreed to do. And once again, Bryant had several in the audience wiping away tears while his voice reverberated the Star Spangled Banner throughout Hobart Arena. On behalf of the Covington faithful, THANK YOU. Hopefully the OHSAA gets word of Bryant's amazing voice and allows him to bless the state of Ohio with his talent. The Covington wrestling team had a memorable weekend at the Division III District Tournament at Hobart Arena in Troy as the Buccaneers finished runner-up as a team and qualified three grapplers to the state meet and another as an alternate. 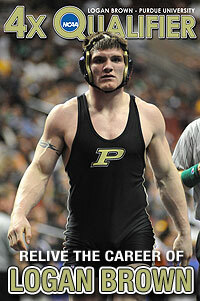 After two days of wrestling the Buccs finished with 99.5 team points - second to team champion Troy Christian (147.5). 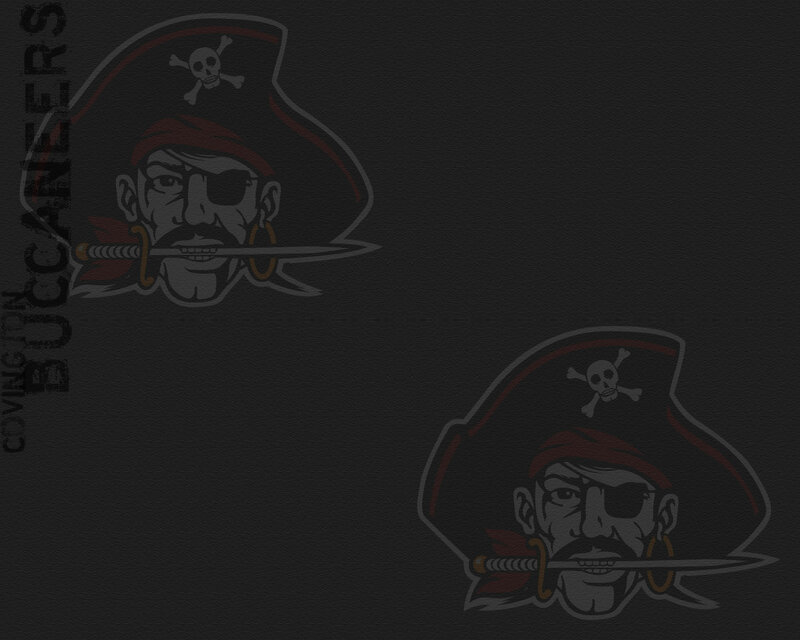 Three Buccaneers advanced to the championship with two winning individual titles at their respective weights. 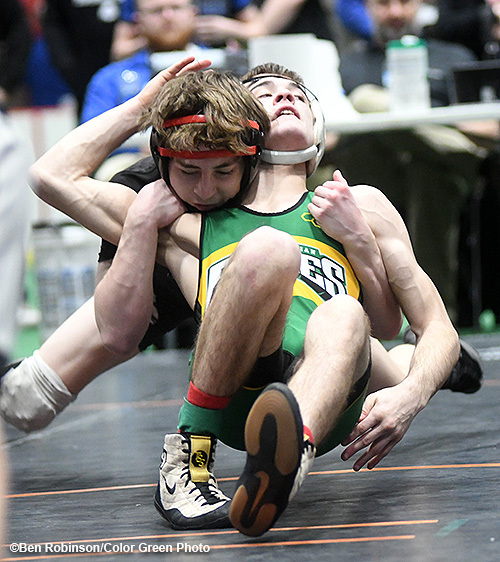 Kellan Anderson captured his championship at 106 pounds with a thrilling 14-9 win over Caleb Schroer (31-10) of Troy Christian in what was a back-and-forth match. Anderson took the early lead, but found himself in trouble in the second period as Schroer had the unbeaten Buccaneer wrestler on his back. But Anderson battled out of the potential pinning combination and eventually took a 9-7 lead before a reversal by Schroer tide the match at 9-9 late in the third period. With time ticking away, Anderson pulled out the thrilling victory with a five-point move. 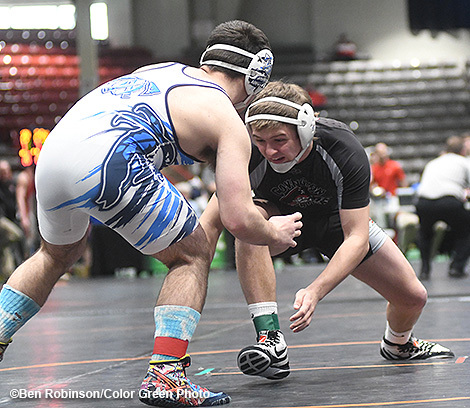 Anderson, now 49-0, had advanced to the finals by defeating Matt Ellis of Legacy Christian 5-1 in the semifinals. He makes his second straight trip to state after placing 6th last year at 106 pounds. Buccaneer senior Keringten Martin also claimed an individual title by defeating Dylan Schenck (40-5) of Milton-Union in the 152-pound championship match by the score of 6-2. It was the fifth time the two grapplers have wrestled each other, with Martin narrowly coming out on top each time. This time Martin used a huge first period takedown to gain the momentum and then recorded a reversal and another takedown to seal the win. Martin, who improves his record to 50-2 on the season, advanced to the title match with a 3:59 pin of Dalton Metzler of Adena. He also makes his second straight trip to the state meet and hopes to end his outstanding wrestling career on the podium. Buccaneer sophomore Cael Vanderhorst (47-5) advanced to the championship match at 113 pounds with a convincing 11-5 win over Brian Chmielewski of Coldwater, but fell in his quest for a district title with a narrow 5-3 loss to Max Shore (43-3) of Miami East. Still, Vanderhorst makes a return trip to state after placing 8th last year at 113 pounds. Going to state as an alternate for the Buccs is junior 145-pounder Austin Flick. He battled his way through the consolation bracket with 10-8 win over Will Hash of Rivery Valley. 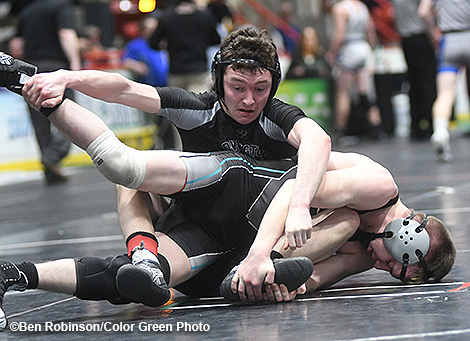 Flick then was forced to default to returning state placer Devan Hendricks of Greeneview in the consolation semifinal, but earned a victory via default over Isaac Bryant of Mechanicsburg (who sung the National Anthem) to earn state alternate status. Falling short of extending his senior season into the state meet was Gavin McReynolds at 182 pounds. 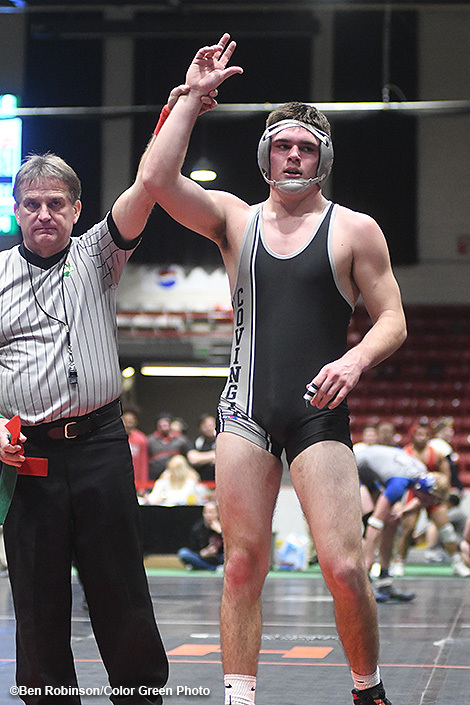 McReynolds advanced to the championship semifinals with two straight wins on Friday, but fell to Danny Rosales of Ottawa-Glandorf in his opening match on Saturday. He then dropped a 9-2 decision to Chase Dyer of Brookville in the consolation semifinals. Hoping to qualify for state as an alternate, McReynolds came up just short in his match for fifth place with a 5-3 loss in sudden-victory to Jarret Winner of Miami East. McReynolds ends his senior champaign with a 41-11 record. Riley Richards also saw his career end as he fell to Jacob Edwards of River Valley by the score of 4-2 in the consolation quarterfinals. Richards had opened the day with a 4-1 win over SeVaughn Carter of Lima Central Catholic. He ends his senior season with a 39-18 record. The final two Buccaneers to compete on the second day of the district tournament also came up short as Duncan Cooper (170 pounds) fell to David Pride of Clermont Northeastern 5-3 and Jesse Fisher (195 pounds) was pinned by eventual state qualifier Isaac Grilliot of Versailles. Cael Vanderhorst returns to state after finishing district runner-up at 113 pounds. Austin Flick had reason to smile as he finished fifth at 145 pounds to become a state alternate. 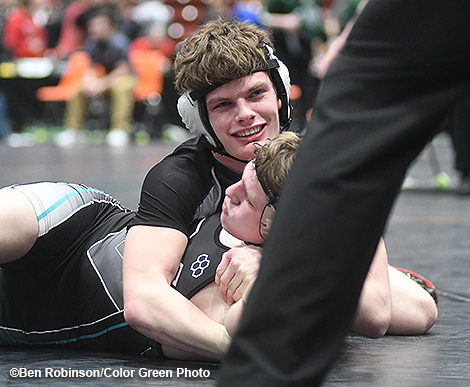 Riley Richards saw his career end at the district tournament in Troy. Gavin McReynolds has his hand raised in the final tournament of his outstanding career in a Buccaneer uniform.